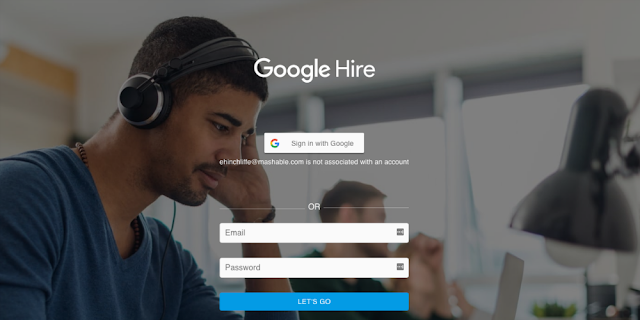 Hire by Google is a recruitment service powered by the search giant's existing candidate database, which comprises previous candidates who applied to a position at a given company, who perhaps weren’t necessarily a great fit for a previously open position. According to Google, companies on average, engage with about 250 candidates before finding the right candidate, and more often, many of the 249 that don’t get hired are a great fit for future openings. The idea of the recruitment tool is to help companies who haven’t always had an easy way to identify past candidates that might be a good match for new jobs. Google have updated the tool with a couple of new features, including what it calls "candidate discovery" which is still in beta, that will make it easier to find the right candidates among the pool of potential employees who previously applied to a position at a company. The "candidate discovery" capability aims at the job description, title and location of a job ad and matches it to a list of past candidates. It serves more as an intuitive search engine that gives recruiters a head start by helping them quickly create a short list of past candidates who are a fit for new positions, using Google’s search smarts technology to better understand the recruiter’s intent. Albeit, Google’s efforts to streamline the overall online job search in recent months have all focused on helping job searchers find potential positions, the current tool serves to cater for the hiring managers. The new candidate discovery capability is now available in beta to all Hire by Google service customers.